David C. Gallup is an explorer. Not just of nature but of the introspective and spiritual connection man has with his environment. 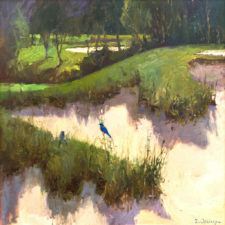 His life’s passion has become a quest for new interpretations of the natural world without leaving his roots in Plein-Air Observation-Based painting. 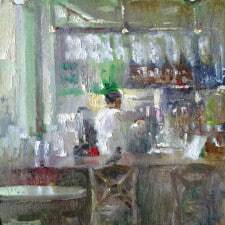 The arc of his career has taken him from his degree in illustration from Otis in 1990 to classical realist fine art (early ‘90s), to an assistant for pop-art icon Hiro Yamagata (1992-2000), to impressionism and plein-air (1994-2009), to contemporary explorations of his own “ism”, Experientialism (developed in tandem with his partner, artist Nansi Bielanski) in which underwater subjects explore elements of the human experience of a subject by painting from memory, and often incorporate a passage of time and motion. 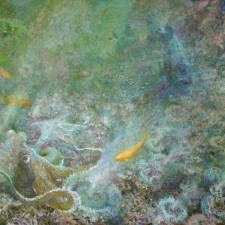 This most recent work incorporates the draftsmanship of the illustrator and fine artist, the color mastery of the pop artist, the impasto brushwork of an impressionist, and the design sense of the Modern masters, and the conceptual goals of the cubists, all combined into paintings typically depicting experiences from his SCUBA diving adventures from around the world. 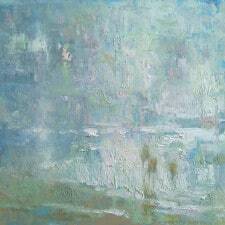 Having trained to be an artist since early childhood, he has diligently pursued his craft ever since. As a young man he worked as a writer, illustrator, and art director for a Los Angeles newspaper to pay his way through school. 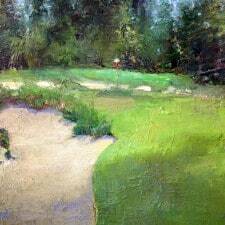 In 1990 he graduated from the Otis Art Institute of Parsons School of Design. 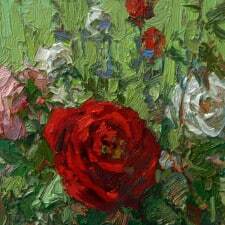 He immediately began teaching art, and has developed a strong following of devoted students, many of them distinguished professional artists themselves. In 1992 Gallup met Japanese artist Hiro Yamagata and soon became the lead staff artist on the “Earthly Paradise” collection. It was during the early years of this relationship, and under the influence of Yamagata, that Gallup began to develop his use of color harmony, rather than contrast, which marks his work today. Gallup’s innovative use of basic music theory to find harmony in color is soothing and subtle, and it’s benefits are visible even to the untrained eye. From the beginning, Gallup has employed the use of a cohesive theme to his exhibitions to make a complete statement of a concept. Gallup dedicated 1999 to painting sunsets. Although he painted almost every night, he selected just one sunset from each week to document the final year of the 20th Century. 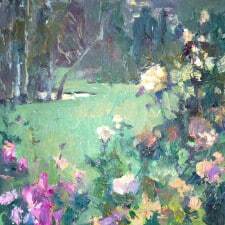 The resulting collection of stunning impressionist paintings, 52 California Sunsets – The Waning of the Twentieth Century was exhibited in West Los Angeles in July 2000 to great critical acclaim. His first solo exhibition had caught the eye of the media and the public, and his career was underway. 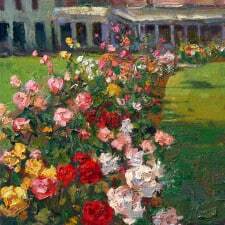 In fall of 2000, David began an important relationship with the California Art Club when he became a juried Artist Member. 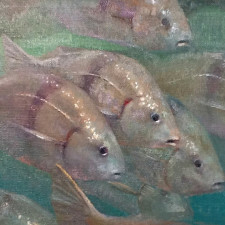 The CAC has since honored Gallup’s work by including him in their prestigious collection of contemporary traditional paintings in the 90th through 105th Annual Gold Medal Exhibitions (2001-2015). His painting, “Twice Humbled- Orcas off the Anacapa Coast” won the California Art Club’s Gold Medal for Best Painting at the 99th Gold Medal Juried Exhibition held at the Pasadena Museum California Art. 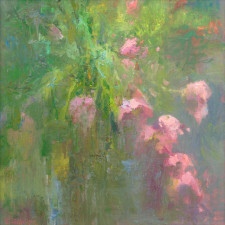 Gallup currently serves as Vice-President of the California Art Club and is a member of their Board of Directors, as well as a Signature Member and Chairman of the Gold Medal Artist’s Committee since 2008. The media have also taken notice of Gallup. 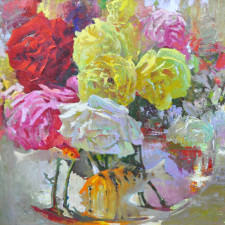 Since 2001 his name has been seen regularly in such magazines as Southwest Art, Art of the West and The Fine Arts Magazine, with in-depth coverage of his career and paintings in The Fine Arts Magazine (2003) and Art of the West (2006). 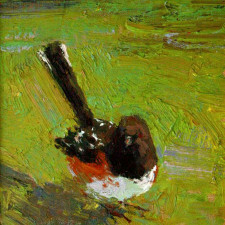 He was featured in Workshop Magazine in 2007, and American Artist Magazine in Summer of 2010 and Spring of 2011. A one-hour documentary film is being produced in HD by the Essential Image Source Foundation, with funding and support from Sony, exploring the artist’s thoughts, methods, and works. 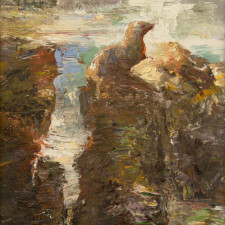 Since 2005, Gallup has spent much of his time painting the Channel Islands National Park and Marine Sanctuary. He developed a special relationship with the Park and its employees, which allowed him to gain significant insight into this beautiful and unique ecosystem. He has used this opportunity to create the largest body of paintings of the islands to date- over 150 works- in order to raise awareness of the Park’s special status and challenges. 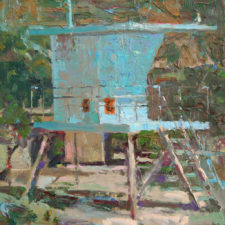 Many of these paintings were exhibited at the Frederick R. Weisman Museum of Art in Malibu, Ca in the summer of 2011. His first solo museum exhibition, “David C. Gallup: California’s Channel Islands” broke attendance records at this renowned museum, which normally hosts traveling exhibitions of Modern Art and Pop Art by some of the biggest names in Art History. The success of this exhibition brought a host of offers from other museums each wanting Gallup’s next exhibition. Beneath the Surface: A Closer Look at our Oceans opened at the Carnegie Art Museum in California in Summer of 2012, and focused on Gallup’s innovative undersea subject matter pulled from his SCUBA and snorkeling experiences in California and beyond. 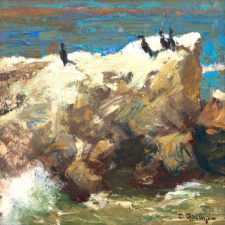 Gallup has entered the museum world with a splash: highlights from the Channel Islands exhibition were shown in a solo exhibition of Gallup’s work at the Aquarium of the Pacific in Long Beach in fall of 2011, and some were included in group exhibitions at the Wildling Museum in Los Olivos; the Autry National Center in Los Angeles; the Pasadena Museum of California Art; and at the Los Angeles Municipal Art Gallery. 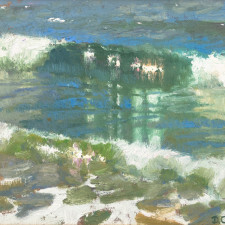 Some of the paintings are still traveling to museums nationwide, and can be seen even now as far away as Vermont and Washington, D.C. Sponsors of Gallup’s Channel Islands paintings include The National Park Service, the Nature Conservancy, Sony, and a collaboration of prominent American Museums and Aquariums. His travels to the islands have also been supported by a network of small businesses and private donors. Gallup’s paintings from this exhibition continue to travel to museums nationwide thanks to the generous support of many of their collectors. A 100-page hardcover book, David C. Gallup: California’s Channel Islands was released in 2011, and Rizzoli’s California Light: A Century of Landscapes discussed Gallup’s island work in depth. Since he began collaborating with Nansi Bielanski in 2014, the two have developed the unorthodox habit of working side-by-side on the same canvas, pushing one another to new heights and directions. 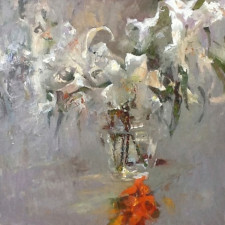 He credits this method of working for the rapid growth in his new work, and Nansi’s influence has brought both deeper, richer darks (which add impact to Gallup’s earlier, more subtle work) as well as a new respect for the contemporary aesthetic, and a more conceptual approach to the work. 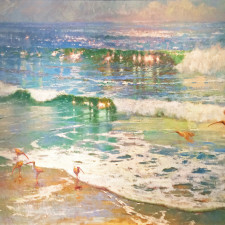 Gallup is a popular art instructor, known for his contagious enthusiasm for art and for the ocean. 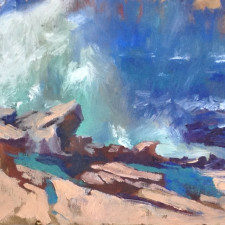 He and Nansi continue to dive, kayak, surf and sail the local waters off the Ventura County coast and far beyond, seeking inspiration for the next painting.